I came across this pattern a few months ago and totally fell in love with it, I decided it would be my May 2014 sweater. It also was a great opportunity for me to do some serious stash busting. 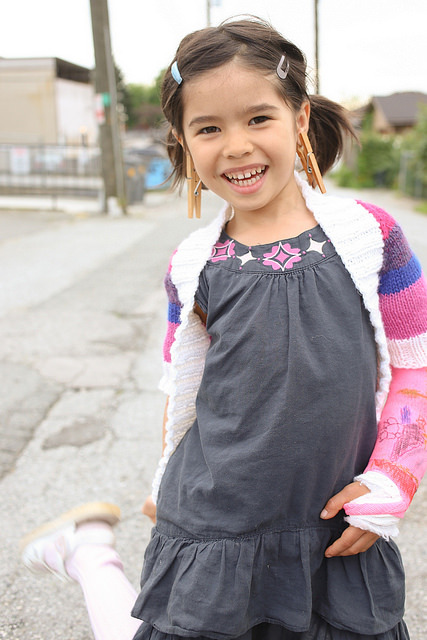 I knit the Juvel Cardigan from my stash of Galway Worsted. I love this yarn (if you want to read more about it check this and this and this out) but because I love it so much, I often have much leftover, so this was a perfect opportunity to use some of it up! 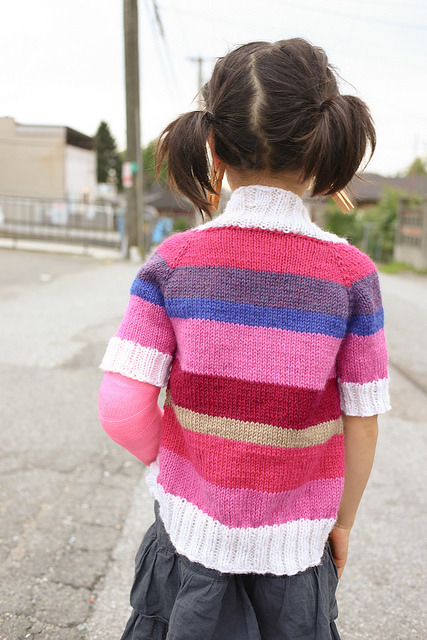 Thanks to Tian for modeling my sweater (even with a broken arm)! Also, for all you East Van folk you should check out all the great work that Tian’s mama does as the owner of Green Room Yoga. Thanks to Sylvia for the photo’s.